Leprechauns have good reasons to feel proud at Saint Patrick’s Day! Cool Leprechaun feeling proud while smiling with great satisfaction. 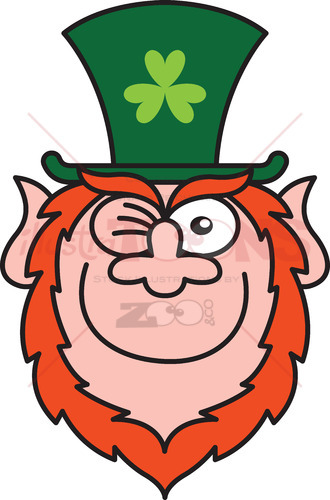 Leprechaun with red beard, pointy ears and big clover hat smiling generously while closing his eyes at Saint Patrick’s Day. We would say that he’s preparing a very important speech.